Hey, remember those A:TLA Four Nations rings from a little while ago? 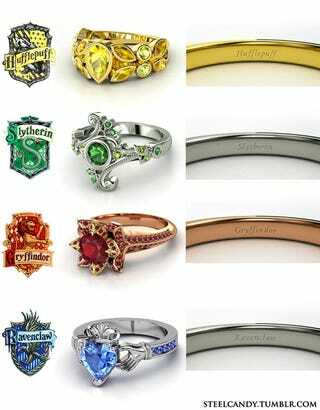 The same artist went and designed Harry Potter-themed rings in the same style. That is all. From here. These are all so pretty! I like the Earth and White Lotus ones the best. ETA: How are you guys so certain of which House you belong to? I feel like based on my personality I could be anything but Gryffindor.